When empires were built in a nationwide drive toward industrialism, John Cleveland Osgood constructed a forty-two-room castle which he christened Cleveholm Manor as a testament to his achievements. Osgood formed the Colorado Fuel & Iron Company (CF&I), which become the sole coal supplier to regional railroads across the Rockies, making Osgood one of the wealthiest men in the county. Osgood spared no expense in constructing his home and hired prominent Denver architets, Austriane stonemasons, and Italian craftsmen. Construction of the casetle begain in 1899 and was completed in 1902 at an estimate of $2.5 million. At the turn of the century, guests traveled by steamship and rail to Redstone. His eestate encompased 550 acres fenced in wroguth iron, guarded by two distinctive gatehouses, and included stables, a carriage house, greenhouse, gamekeeper’s cottage, hydroelectric power plant, and a large working farm. The property, originally known as Cleveholm Manor, is listed on the National Register of Historic Places. At the time Redstone Castle was listed on the Endangered Places Program, the Internal Revenue Service (IRS) had seized the castle and related properties in connection with a federal wire and securities fraud investigation. Transfer of the building out of federal ownership required the IRS to comply with Section 106 of the National Historic Preservation Act. This mechanism proved to be the path to a long-term preservation solution for the castle. 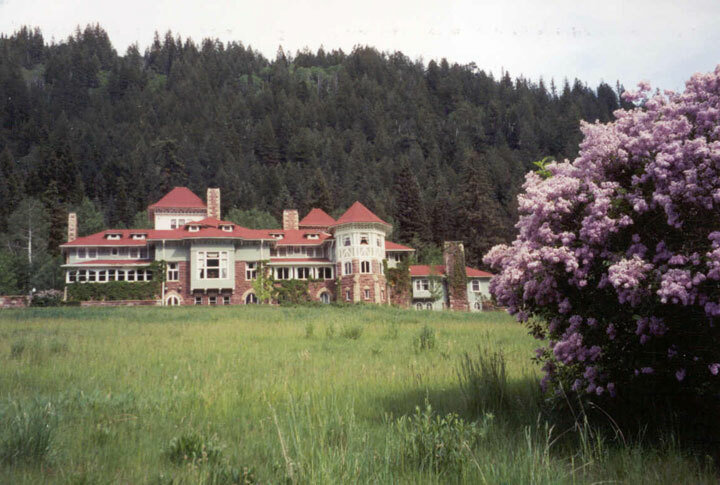 Many groups became consulting parties for the project to include: Colorado Preservation, Inc., the National Trust for Historic Preservation, the Redstone Historical Society, Pitkin County, the Redstone Community Association, the National Park Service, the West Elk Loop Scenic & Historic Byway, Crystal Valley Environmental Protection Agency, Crystal River Caucus, and the Colorado Historical Society. The result of these meetings lead to an acquisition agreement that would protect the castle from demolition and prevent the removal or change of its fixed interior contents. When the IRS auctioned the castle in the spring of 2005, a preservation easement protected the exterior of the main buildings, the interior of the major rooms, and twenty-two acres surrounding Redstone Castle. In addition, the 138 acres adjoining Redstone Castle was designated a Historic District by the county and is subject to review by the Redstone Historic Preservation Commission. In 2006,the IRS and partners including Colorado Preservation, Inc., the Redstone Historical Society, the National Trust for Historic Preservation and the Colorado Historical Society received an award from the Advisory Council on Historic Preservation for the easement on the Castle.